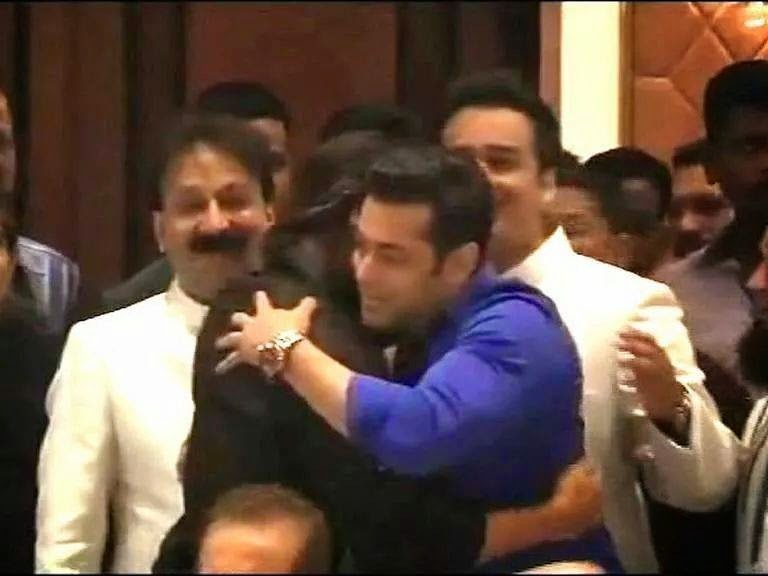 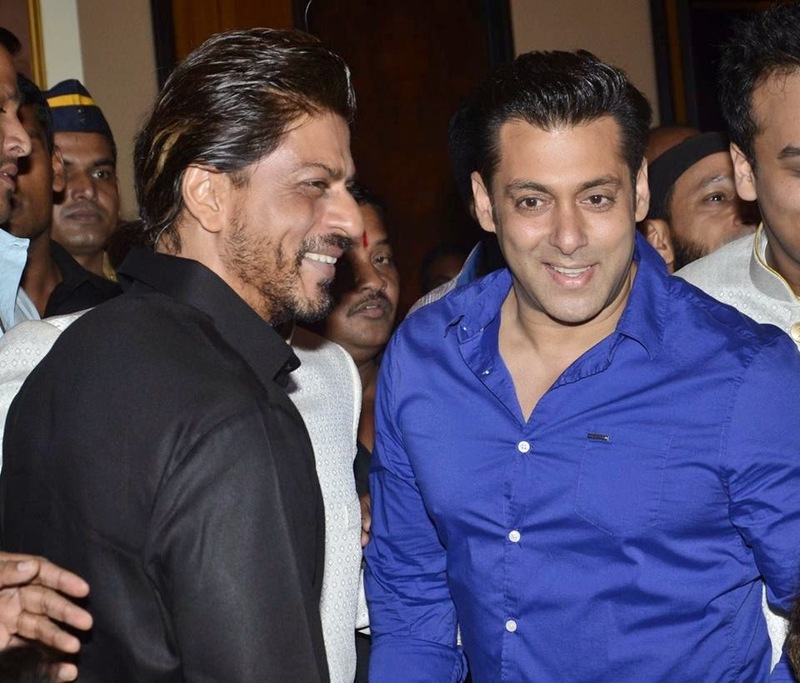 A year later, Shah Rukh and Salman Khan hug each other again with a smile at iftaar party. 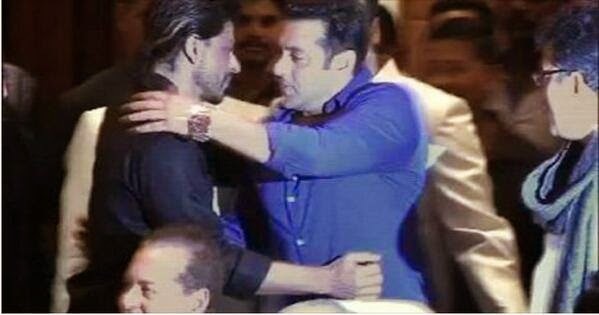 Last year, their hugging at the same iftaar party made a national news and again one year after the historic event, Shahrukh and Salman Khan greeted cordially and hugged one another. 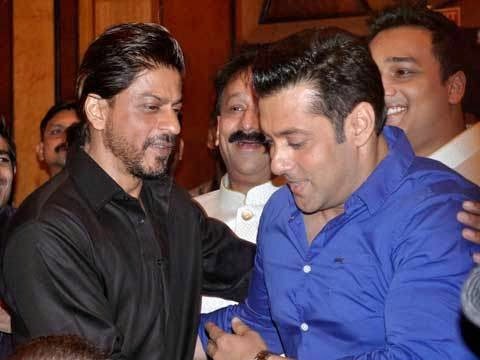 The two leading Khans of Bollywood - Shah Rukh and Salman - hugged each other with warmth as they came face to face at an iftaar party here Sunday. 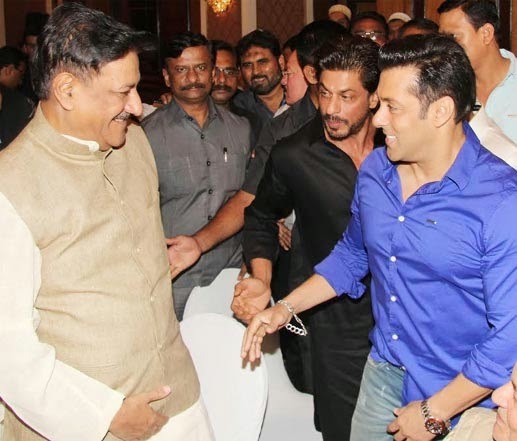 The event took place at politician Baba Siddhiqui’s Iftaar party. 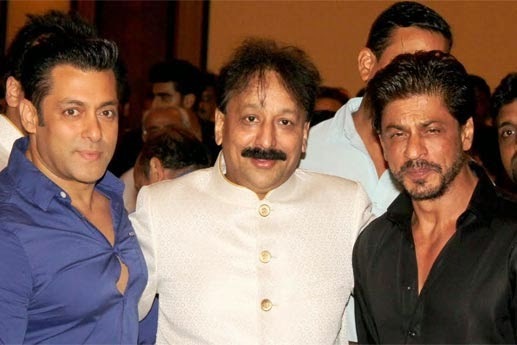 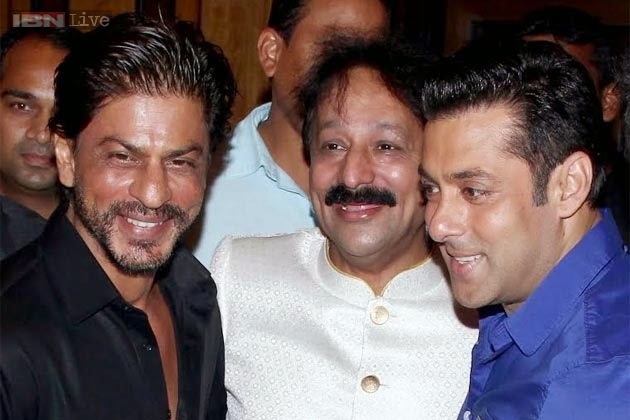 Their hug last year at Baba Siddiqui's party had made headlines as the two Khans had been warring for almost seven years and avoided each other at events. 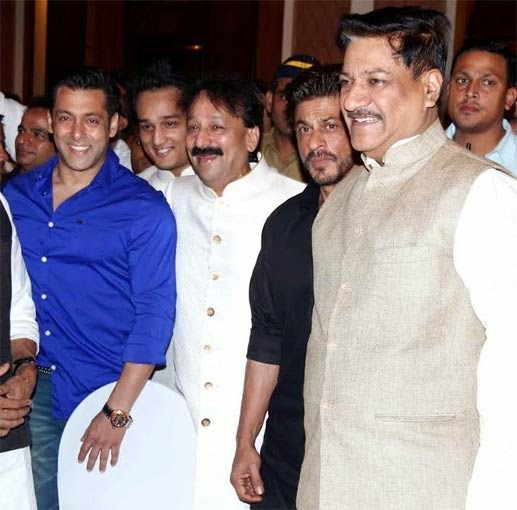 Salman's father Salim Khan and brother Arbaaz were also present at the event.Also present at the event was Maharashtra CM Prithviraj Chavan who posed with the two actors.